Slow Boating in Britain: The Voyage of the "Alexandra"
In late 2010 the writers went on a fortnight’s Narrow Boat cruise on the British Canals, and this book is a record of their adventures. The tale reflects their life-long love affair with all things nautical, but has also been shaped by their day jobs as social science academics. Consequently the book is more than just a travelogue or a “how to” practical guide for intending holiday makers. The writers blended into the narrative some of the significant social, cultural and historical features of the region they criss-crossed. The book should appeal to readers who have a general interest in canals and waterways; those attracted to ‘safe’ adventure holidays, particularly people who, irrespective of their nationality, might be contemplating a boating excursion on the British canals; and “arm chair” travellers intrigued by a fairly unusual journey through an unspoiled region of England (the Midlands) which is replete with historical significance. The book is liberally illustrated with photographs of the scenes described in the text. The book consists of a Table of Contents, an Introduction, eight Chapters, an Index and a Bibliography. Accompanying and illustrating the text are 198 colour photographs, one map, and one diagram. The book is a paperback and its dimensions are A5. 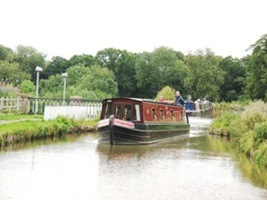 In the first chapter the authors explain how and why they chose the particular canal route, the Four Counties Ring, and describe the characteristics of the boat. The story is then told sequentially as it unfolded day by day, showing the course followed, where they stopped and why, and what they saw along the way. Throughout the book, the writers comment on the social and historical background of the towns and countryside they passed through. Integrated into the text are references to the history, design, construction and maintenance of the canals, and the operation of the locks. 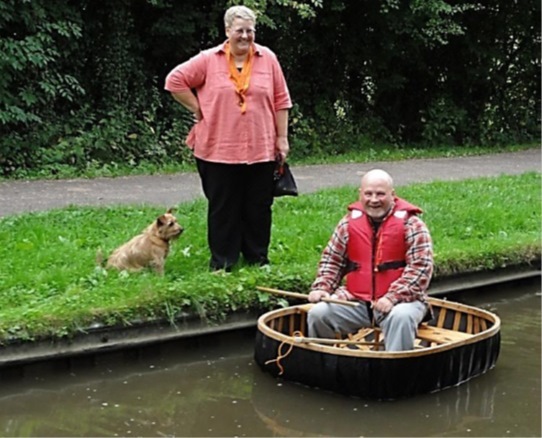 The contribution of influential pioneers such as the Duke of Bridgewater, James Brindle and Thomas Telford in the development of the British canal system is acknowledged. But the men who toiled in constructing the canals and later worked the boats are not ignored, using contemporary records to describe their sometimes harsh lives. Brief historical accounts of the different towns and villages visited along the way are included.